-Queens will be grafted from our stock (mostly old-world WSU and Glenn background genetics).We select for honey production, gentleness, disease resistance, and low swarm tendency. -Bees survive well in our dry summers and cold winters. 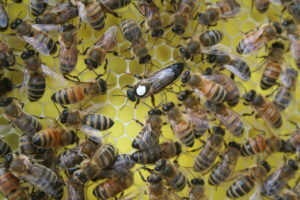 -Queens are never banked but are born into the nuc and evaluated after mating. 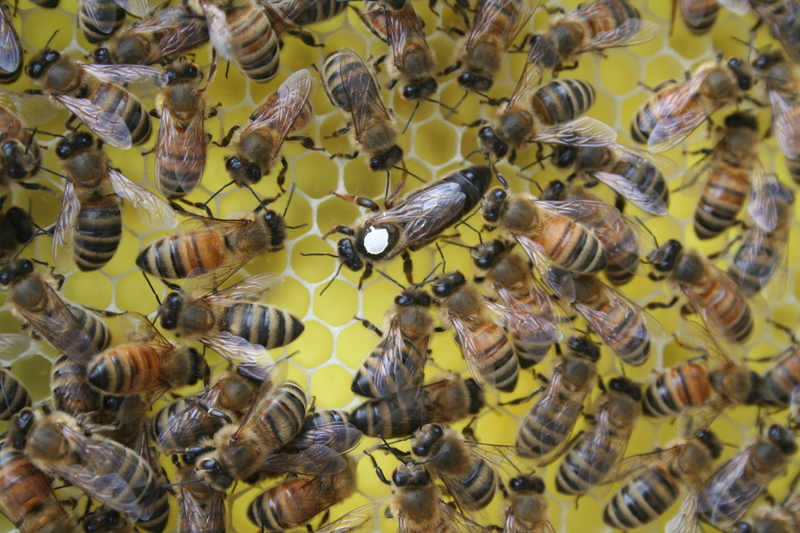 Queens will be allowed to lay 3 weeks or better and all of her brood will be evaluated. She will need to have 3+ frames of excellent brood pattern to pass our standard. – Nucs are less likely to supersede their queen compared to a 3lb package. She is already a proven functioning part of the new hive. 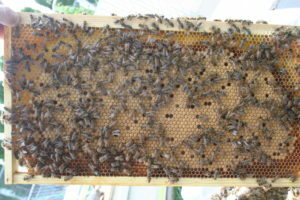 -Nucs build up bee populations faster increasing your chances of a bigger honey crop! -All customers are welcome to check nucs before purchase. – Nucs come in a non-returnable box. FREE delivery to Wenatchee, Bozeman, Butte, and Missoula mid-to-end of April. Payment due at pickup. We accept cash, money order, or cashier’s check. Specific Location and time will be sent out as we get closer. CLICK HERE TO PLACE RESERVATION. Book us today for your 2019 almond pollination!